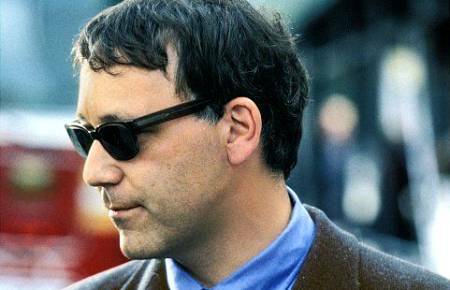 Sam Raimi, who’s apparently attached to direct the next Jack Ryan movie, is reportedly in a feud with Paramount over who to cast in the lead role. Basically, Sam wants James Franco and Paramount doesn’t, believing him to be too frail. Ryan Gosling was the last actor rumored for the role, and what you’re telling me he’s more buff than Franco? Raimi, who directed Franco in all three Spider-Man films is supposedly threatening to quit the movie should he not have his way. Should he be cast, James Franco would be the fourth actor to portray novelist Tom Clancy’s popular hero after Alec Baldwin (The Hunt For Red October), Harrison Ford (Patriot Games and Clear And Present Danger) and Ben Affleck (The Sum Of All Fears). Personally, I think Franco could pull it off, but the real question is why is Paramount having so much trouble with this franchise? All the Jack Ryan movies have been well received and they’ve all made good money at the box-office. Why didn’t Ben Affleck get recast for a movie that could have come out three years ago? And, more shockingly, why does Paramount apparently want to go with an original Jack Ryan story instead of using all the books they have left? Jack Ryan books which haven’t been adapted yet: Red Rabbit, The Cardinal Of The Kremlin, Debt Of Honor, Executive Orders, Rainbow Six, The Bear And The Dragon… What gives? This entry was posted in American Films, Celebrities, Sequels and tagged Alec Baldwin, Ben Affleck, Clear And Present Danger, Harrison Ford, Jack Ryan, James Franco, Paramount, Patriot Games, Ryan Gosling, Sam Raimi, Sequels, Spider-Man, The Hunt For Red October, The Sum Of All Fears, Tom Clancy by Mr Hollywood. Bookmark the permalink. The problem with using any of the remaining books is that they depended on there being a certain continuity from movie to movie and just simply a matter of history changing and the scope of work to be completed. Cardinal of the Kremlin deals with the intricacies of US/Soviet relations in the midst of the Cold War – though you could rework it to the current Russian government. Debt of Honor details a war between the US and Japan, something that most moviegoers wont be interested in. Executive Orders ties directly to Debt of Honor (not to mention that the even at the end of Debt of Honor and beginning of Executive Order may not be proper in a post 9/11 world). Without these two movies, The Bear and the Dragon doesnt really make sense, unless you write Ryan’s role differently. I could see a Rainbow Six or Without Remorse happening, they have a more timeless story line and are independent from the rest of the stories for the most part. Red Rabbit could also work if they change things up a little to tie in with a post Cold War world. I agree with you though, that this movie franchise has had a long difficult and unfortunate history, but are still successful at the box office.